Find our full list of directors and mailing addresses on the Contact Info Page. We enjoy hosting sailors from around the lake and around the world at our club. Before you come, you may be interested in learning a little about what it's like to visit. We've collected a bunch of pertinent information for visitors on this page. 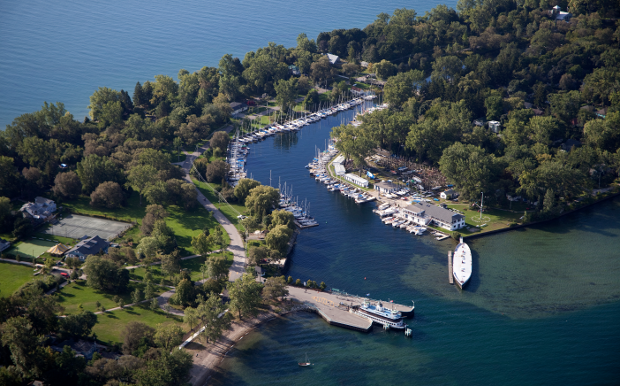 QCYC is a not-for-profit community of sailors and friends located on parkland on Algonquin Island in the Toronto harbour. But the club wasn't always located on the islands. In fact, the original clubhouse was located at the foot of York Street on the city side of the harbour. We have a committee of members dedicated to preserving and sharing the history of the club and their ongoing work can be found in the club's online Archives.